Essential Staffcare- An IAG Solution -- Insurance Applications Group, LLC (IAG) is a national employee benefits firm specializing in the development of voluntary, payroll deducted insurance products with best-in-class enrollment and communication services. With over a decade of experience designing limited benefit health plans, we understand what is needed to make these benefit plans work effectively in a high turnover staffing environment. Jay Dye (President) and Aaron Lesher (Executive Vice President) designed Essential StaffCare specifically for the Staffing Industry using feedback from over 100 of our staffing clients. We fill the gaps in service that insurance companies don't provide, handling the implementation, enrollment, and ongoing training for the Essential StaffCare plan. This takes work away from you, the Employer, so you can focus on your business. For additional information contact Jerry Grady, Managing Director, at (248) 355-1040 or jgrady@uhy-us.com. MJA & Associates specializes in Government tax incentives, which can maximize your profits. Our professional consultants can assist your business with these special tax programs. Federal, State, and local programs such as Work Opportunity Tax Credit (WOTC), VOW to Hire Heroes, Empowerment Zone Tax Credit and Ticket to Work can earn your company up to $9,600 per employee. Our clients save thousands of dollars every year by capturing these tax credits. Our professional staff can administer the entire program, allowing you to focus on your business. Our fees are performance based. We only collect a percentage of the savings generated from your tax savings. Your company will see an immediate return on your investment, because fees are only paid if your company benefits from the tax incentives. Contact Marcel J. Abandonato at 951-272-8294 or marcel@mja-associates.com. Top Echelon helps recruiters make more placements through its three main products and services: Hiring Hook recruitment and staffing websites; Big Biller recruitment software for applicant tracking; and Top Echelon Network, the leading split network of recruiters. Top Echelon employees strive to exceed expectations in everything they do and through every interaction they have with their customers. And of course, they also strive to have fun! For more information contact Mark Demaree at 4883 Dressler Road NW, Suite #200, Canton OH 44718 or markdemaree@topechelon.com. 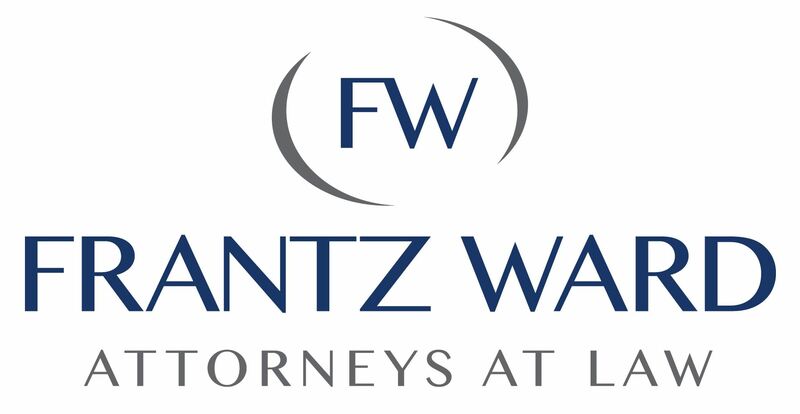 Frantz Ward is a full-service law firm committed to providing clients with practical, responsive and cost-effective legal solutions. The firm serves a national client base, including Fortune 500 companies, small- and medium-sized businesses and individuals. The firm's attorneys and practices receive national recognition, including the highest bands in the prestigious Chambers USA: America's Leading Lawyers for Business. Frantz Ward operates out of its contemporary office in downtown Cleveland and is home to approximately 60 attorneys. Through the firm's significant national experience, practice in jurisdictions across the country, and membership and involvement with ALFA International - a global network of law firms - we proudly serve our clients' needs globally. Kronos has spent decades innovating ways to help organizations of all sizes across a variety of industries manage their most valuable strategic advantage — their workforce. Our cloud-based human capital management (HCM) and workforce management (WFM) solutions offer the industry’s most robust suite of tools for managing their entire workforce — salaried or hourly, full-time or part-time — from pre-hire to retire. With Kronos, you can attract, retain, and engage employees while improving efficiency and customer satisfaction. The powerful Kronos HCM unified platform offers a full suite of tools that integrate HR, time and attendance, payroll, scheduling, and more for managing and nurturing your entire workforce — giving managers a single employee record updated in real time to help drive productivity, increase employee engagement, and make more informed business decisions. With tens of thousands of organizations in more than 100 countries — including more than half the Fortune 1000 — Kronos helps organizations worldwide better manage their workforce. Kronos: Workforce Innovation That Works. Crimcheck is committed to protecting your brand. By providing expert, comprehensive and legally compliant background checks we protect your employees and your customers, the two most critical people in making a brand a success! Our staff of “Real People” is what differentiates us from other background check companies. Crimcheck.com utilizes experienced investigators and customer support specialists who assemble a comprehensive background check, not a packaged criminal database, to give you easy results that fit your company’s specific needs to recruit the talent your brand deserves! Contact one of our Real Team Members now at 1-877-992-4325 and begin protecting your Brand today! ScoutLogic’s background check solutions help you hire with speed and efficiency. ScoutLogic provides a full suite of background checks including criminal background investigations, verification & reference checking, and drug testing to perform FCRA compliant background checks. Using intelligent on-shore resources, analytics, and dedicated case management, we reduce the time to hire, and alleviate many of the frustrations that aggravate applicants and hiring managers.